Tables & Tabletops Table Stock & Leg Stock. Beautiful live edge, curly/burl slabs to choose from. Online Burl Photo Gallery: View fine craftsmanship for kitchen cabinets! In cabinets, flooring and mouldings, buyers usually choose a species by first considering the wood's hardness and	durability, as well as its grain and color. And sometimes, they even want to know if it is sustainable. So, what is the prevailing trend in consumer-driven wood preference? BUILDERnews readers want to know, so we solicited the input of kitchen designers, architects, manufacturers, distributors and forest certification consultants in addition to consumer studies to bring you the latest research on marketplace trends in wood and wood alternatives. With growing environmental consciousness, there has been a call to seek alternatives to harvested wood. 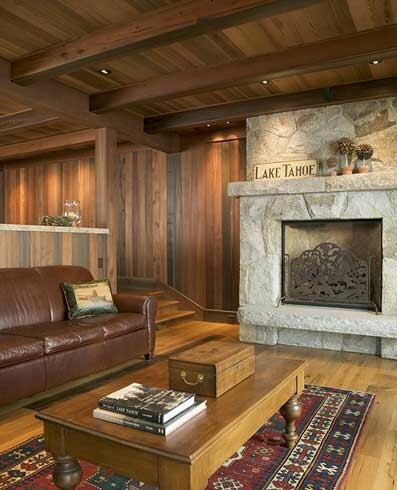 From salvaged or repurposed timber, to replacement materials like bamboo, there exist options. And consumers love choice. In fact, bamboo, the evergreen that is a durable, water-resistant and stunning woody perennial, has never looked better as it finds a home in interiors. Consumers are ripening to recycled, sustainable and East-meets-West building materials. Sunken redwood millwork by Redwood Salvage Sales, some cut before 1900s, is the result of 100+	years in the mineral-rich water of Big River in California. This redwood is beautiful with its tight grain and unusual variegated shades of blond, burgundy and rich cinnamon brown; it repels termites and resists rot. Reborn Countertops by Craft-Art utilize reclaimed wood. Choose Antique Heart Pine, Sinker Cypress, Antique White/Barn Oak, Pickle Vat Redwood, Barn Red Oak, American Chestnut and Tobacco Barn Beech. Craft-Art is recycling wood from old mills, barns, river bottoms and swamps for this new series of countertops. Visit craft-art.com. ABOVE:	Quarter-sawn old growth salvaged curly Redwood, clear all heart. Dimensions,	8/4" (full 2") x 10", 12", 14", 18", 19" all x 8 1/2' long; plus leg stock. Bookmatched. LEFT: Tight-grained quarter-sawn clear all heart cants. Shown here 24" x 22" x 16' and smaller. At least two vertical grain sides. Orders custom milled. Myrtlewood Available All-burl Myrtlewood is available here at Redwood Salvage Sales. 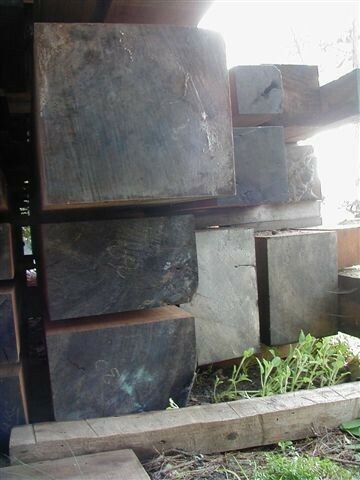 We have Myrtlewood slabs 2-1/4" to 3-1/4", all 10' long, up to 44" wide, all book-matched. Air-dried 6 years indoors. One of a kind pieces. Some beautiful furnishings and items have been created by our local craftsmen. Read what other customers have to say at our Customer Reviews. 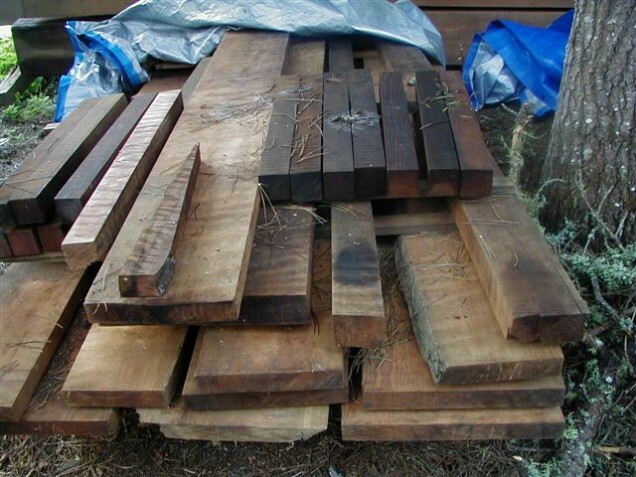 In The News Magazine articles about Redwood Salvage Sales by Robb Report Luxury Home; BUILDERnews; Sawmill & Woodlot Magazine; and The San Francisco Chronicle Sunday Magazine. Check it out! The Salvage Story A man's journey from doctor to innkeeper in Mendocino County began with dredging sunken timber out of Big River...the recovery of a lost treasure of Northern California! Buy exotic timber direct from Arky Ciancutti, M.D. We arrange custom milling to any specifications you define. 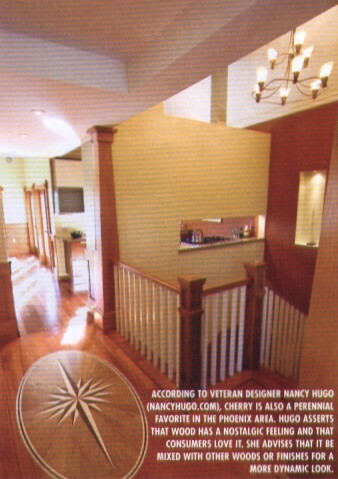 We will work with you, your architect and/or your builder; and ship domestic and international. Visit our Demonstration ShowRooms by appointment only. For appointment please phone: (707) 937-2144. Mail to: P.O. Box 1473, Mendocino, CA 95460. Phone, write or email your inquiry to us.